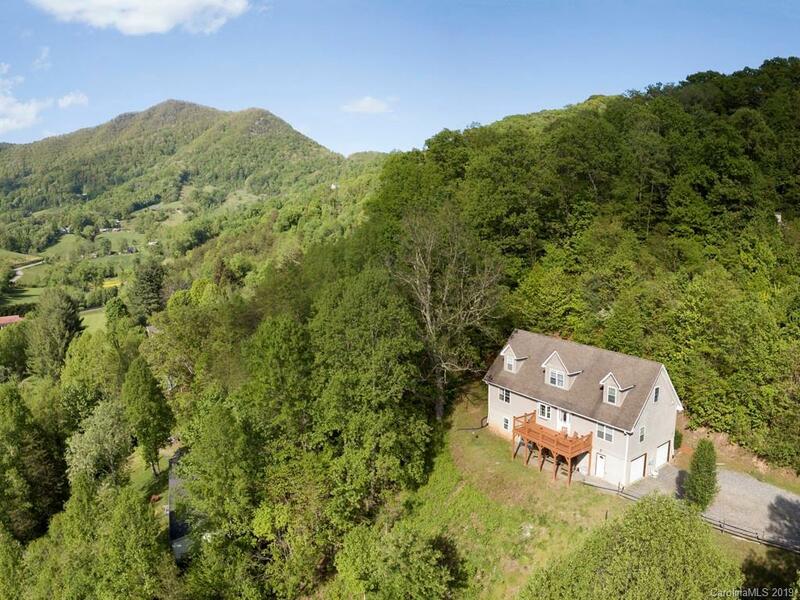 Only 18min from downtown Asheville and 15min from downtown Waynesville off the Newfound exit you will find this expansive home with amazing views and plenty of room for the entire family. On the main level you will find two master bedrooms with en suite baths one with a 156 sq ft walk-in closet, huge! On the second floor you have two large rooms being used as bedrooms (three bedroom septic) and a separate loft and bath. On the lower level is an expansive bedroom/living room with gas fireplace and full bath. Large two car garage! Come see quick!